What happens when someone who you've mourned and buried mysteriously appears at your doorstep, as if not a single day has gone by? The lives of the people of Arcadia, Missouri are forever changed when their deceased loved ones miraculously return, causing them to confront the emotional depth of their relationship and what it means to be given a second chance. Synopsis: What happens when someone who you've mourned and buried mysteriously appears at your doorstep, as if not a single day has gone by? The lives of the people of Arcadia, Missouri are forever changed when their deceased loved ones miraculously return, causing them to confront the emotional depth of their relationship and what it means to be given a second chance. Talent/Cast: Omar Epps (House), Frances Fisher (Titanic), Matt Craven (Crimson Tide, A Few Good Men), Devin Kelley (Chernobyl Diaries, The Chicago Code), Mark Hildreth (The Tudors), Samaire Armstrong (Entourage, The O.C. ), Sam Hazeldine (The Raven), Landon Gimenez (Housekeeping) as Jacob and Kurtwood Smith (That '70s Show) as Henry Langston. 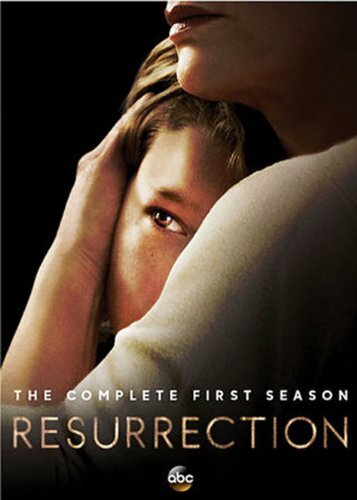 Executive Producers: Resurrection was developed by Aaron Zelman (Damages, The Killing), who is executive producer. Michele Fazekas & Tara Butters and JoAnn Alfano are executive producers. Dan Attias is director and executive producer. Dede Gardner and Jeremy Kleiner are executive producers for Plan B and Jon Liebman is executive producer for Brillstein Entertainment. The pilot was directed by Charles McDougall. Resurrection is produced by ABC Studios. * On Location in Georgia - Filmmakers and cast reflect on the place Resurrection calls home. * Resurrection: Building a Mystery - The show's stars share their theories about the mystery at the heart of the series - how are the town's loved and lost ones returning home to their families...and why?